This is the same design as the Canadian National Railways’ Vancouver pattern, modified for use at the Hotel Vancouver, in Vancouver, British Columbia. 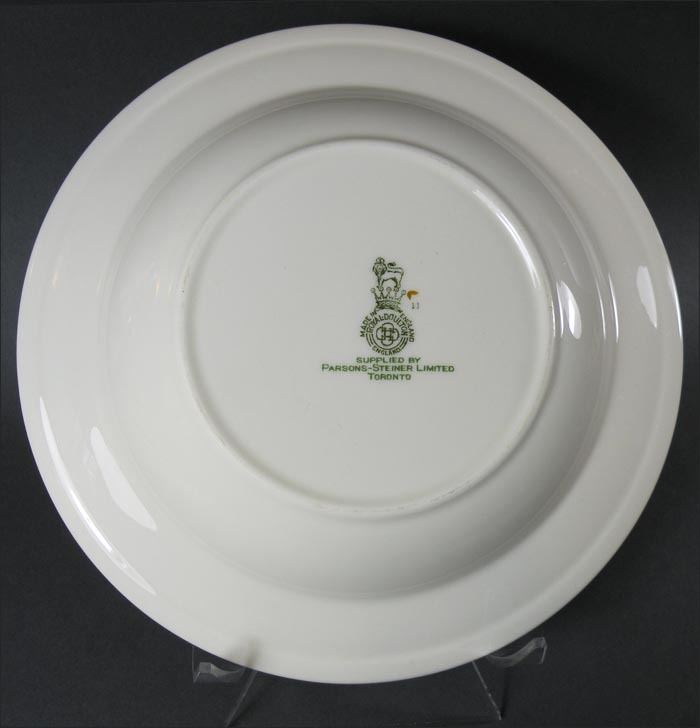 It has the distinctive maple leaf motif and the mustard brown line around the rim. 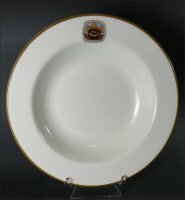 The soup bowl is 7 ½” across and is about 1 1/8” high. It was made by Royal Doulton. Distributor was Parsons-Steiner Limited in Toronto. 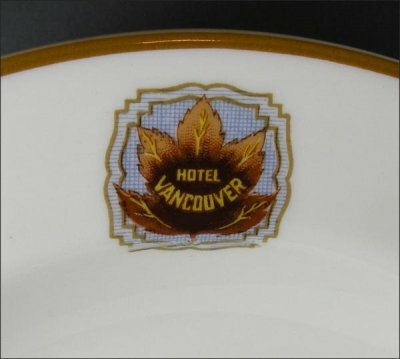 The bowl is in excellent condition with only light use marks.